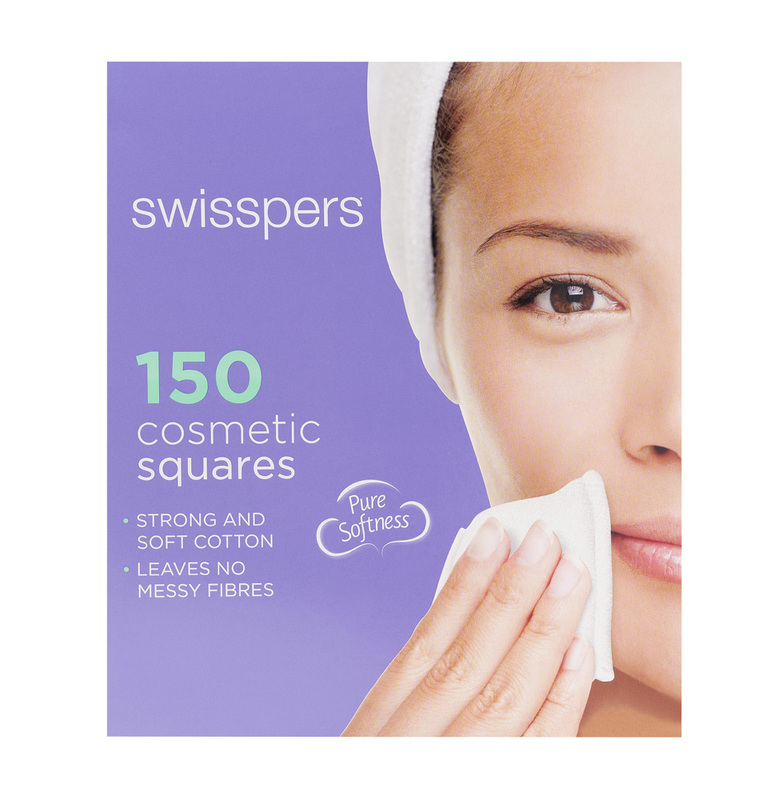 Swisspers Cotton Squares are cotton pads made from premium cotton that’s perfect for using with liquids such as makeup remover, nail polish remover, lotion and cream application. The soft 100 per cent cotton wool inside a non-woven cover ensures that no messy fibres are left behind. The flat, compact shape and straight edges of each cotton wool square makes them the cleaner, smarter, no mess alternative. I had purchased the Swisspers cotton squares to help remove my makeup while also using it for other things such as removing nail polish. I had always used round oval pads instead but I purchased these instead thinking they would be very similar but I realised that they were very different. The first thing I did not like about these squares was the texture. It wasn't that soft and I found it to be a bit abrasive when I would use it on my skin. I would normally use it by pouring micellar water on it and then wiping it across my face but it wasn't soft enough for me. The other issue I had was that it seemed to fall apart rather quickly and it wasn't durable. It also left fibres behind and turned out to be a hassle to use.  The quality of the product was lacking and it did not perform as well as other cotton pads that I've used. I purchased these cotton pads to use to apply my nightly toner and when I use micellar water to remove my makeup. I’ve always used the swisspers round cotton pads which are amazing but wanted to try something different. I was so disappointed. It says on the box it leaves no messy fibers. I put the toner on the pad and within the first wipe, the cotton pad falls apart and breaks up over my face! So annoying. Definitely won’t be repurchasing. I’ll be sticking to my good old round swisspers! I purposely purchased this item as it said on the box that it doesn't leave messy fibres behind but I was very disappointed to discover that this isn't true. I would have returned them if I hadn't tested one out. The fibres get stuck in my lash extensions and pull them out and it's not like I'm rubbing vigorously or anything - this hurts both my eyes and my wallet. I .will not be using them on my face ever again. Might be ok to remove nail polish, would not reccommend for face. I used to use only Swisspers because it used to be the only brand stocked at my local chemist. I used them for toners, and more recently cleansing with micellar water. while the cotton is soft, sometimes there are fibres left on the face. I didn't bother me all that much if it's on my face, but when it's on my clients' face I had to clean it up discretely and it sometimes is a challenge. I also found that it is slightly more expensive than the other brands. I now use the $2.80 / box from Daiso and they work just as well (if not better). These are OK to use as either nail remover pads or for eye cream. I've found that the cotton wool tends to break away and leave fibers on your face when using for an all over pad. While it is nice and soft, the inconvenience of the fibers are just not worth purchasing unfortunately. These squares are OK but not as good as the circles. I have found with any liquid such as a toner/makeup temover that it tends to slide off the top rather then absorb so I get a lot of wasted product if I am not careful to keep the bottle pressed into the pad. I also find that they do leave "fluff" bits on your face which is annoying. They are great for removing nail polish though, this absorbs straight away compared to other liquid products. I use these solely to take off my eye makeup because their discs have a crimped edge that hurts and are too thick so absorb too much product which is a little wasteful. I wouldn't use these for anything but removing my eye makeup before I get in the shower as they do leave fibers behind and they can be quite difficult to remove. I do like that they don't absorb a lot of product and they are soft. I love swisspers products and I used to purchase these to remove nail polish as well as to apply toner. They're quite good for nail polish remover but I do find that they leave a lot of lint behind on the face when applying toner. They are quite soft though, I will repurchase for nail polish remover. I find the square cotton pads great for removing nail polish without having to go through too many! The corners are great for removing under eye make up and they don't leave any fibres behind on your face. Soak the pad in nail polish remover and then hold it onto your nail for 15 seconds before wiping. You will only need to use 2-3 pads for both hands. This is a good product but I'm mixed about it. These are perfect for removing eye makeup you just apply your remover to them. But for applying toner they tend to fall apart. I acquired these cotton squares recently when clearing out things from my grandmother's house. Up until now I've been using round make up remover pads (Swisspers and other brands) to remove eye make-up and nail polish. Had I have not already used another product I might have thought Swisspers Cotton Squares were the bomb, but in comparison to the round pads they're not as soft. I found them great for removing nail polish, but a little too harsh for my face. I'll continue to use them until the box is empty, but they won't be a repurchase for me. These cotton squares are very thick and they absorb water or make-up remover very well also they also don't break apart like the others one that I have used before. They are also great for removing foundation and eye make-up. I will re-purchase these cotton squares. What I like about having my cotton pads in square rather than round shapes is that they seem to hold their shape better, and not want to fall apart, like so many round ones do. The square shape holds well no matter what I'm doing. I use them to remove eye makeup, nail enamel, and they're brilliant for when I have a face mask on that needs lots of cotton & warm water to remove. I use less of them than the round ones & it's an easier process. They're also soft, comfortable, and don't sop up too much product when I use them with a toner or polish remover. Great quality & superior to any round ones I've tried! The edges on these cotton squares are sharp. Not sharp enough to hurt you, but sharp enough to be too uncomfortable to use on your face. I always have a big box of these in the bathroom. They are a fantastic size and so easy to use! I have never had any issues with cotton fibres coming through. Fantastic at removing my eye make up every night, the size is big enough to remove make up from both eyes with one square! I use both sides and they still keep their shape! I also use these to apply toner after cleansing. I have used them to remove nail polish and the cotton square performs well for that task as well. This really is a sturdy, yet gentle product that stands up to its claims. Definitely my favourite cotton product of this type! These Swisspers Cotton Squares are great quality - they're soft, thick and absorbent and multi-functional. I use these to remove my eye makeup (though you have to be careful of the sharp edges), to apply toner and I cut them into small pieces to remove nail polish. They hold their shape and don't fray and leave fluffy like cotton balls and some other cotton rounds. I've grown up using round things on my face which I've never thought of questioning, however being the rebellious type I am, recently invested in the square swisspers. How can something so revolutionary be kept so quiet! Obviously being the Swisspers brand, I know the quality is always top notch - no stray fibres, holds liquid well without pooling and removes makeup effortlessly even when you scrub in hard. The larger size of these squares mean what used to take two round pads now takes one square, and I can now use the corners to get in to cleaning the finer details - score! I may never go back to round again! These are nice and thick however I can't use them on my eyes due to the edge that I always seem to accidentally end up scraping along my delicate eye area which isn't all that pleasant... It's probably just down to my clumsy nature but it still means I go for the round pads instead. I have very large pores and I am always looking for pore fillers/primers. After seeing many recommendations on YouTube I decided to give this a try and I'm not overly excited. I chose the shade Taupe as it's a great cool toned light brown and matches my natural brows perfectly. It comes in a glass jar, screw top lid and made in Italy. I am a pale neutral skin tone and find it hard to get a pale bronzer that doesn't have a stark orange, red or pink undertone as I find these just don't work for me.